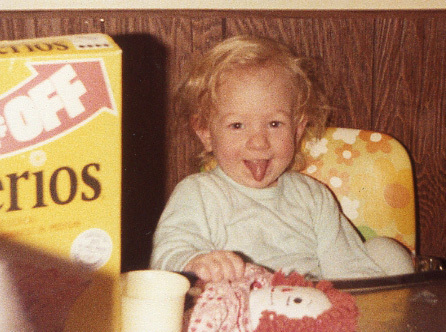 When I travel the 2 hours to visit my parents, I am utterly grateful for the baby things my mom has held onto. She still has the crib my sister and I used, it's all set up in a bedroom and has a mattress pad and sheets on it. Rachel sleeps like a champ in it. 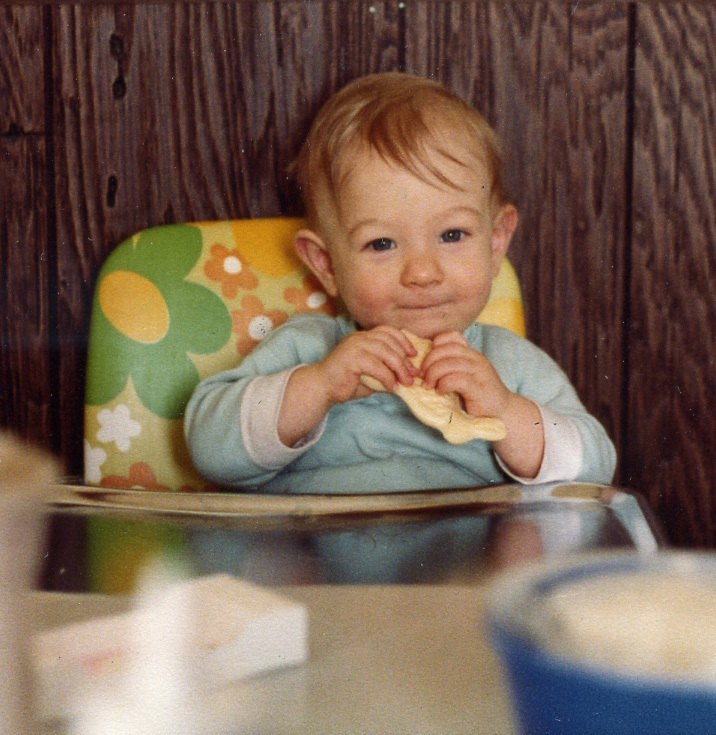 My mom has the high chair my sister and I used, everything on it is original and it's one of my favorite high chairs! It's such a relief not having to haul these things with us when we visit. Here is the crib at it sits today at my parent's house. 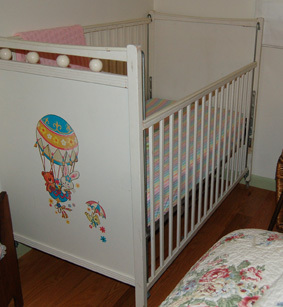 Yes, it is a drop side, but I am pretty sure because of the metal rail that makes the crib slide up and down, there is no possible way for the side to fail and for her to fall out. 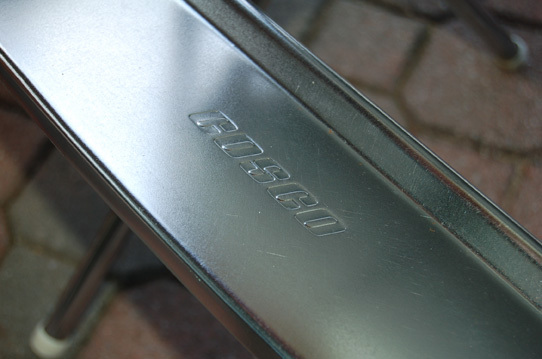 Which makes me wonder, why did crib manufacturers even modify the design. They should have kept it like this one from the 1970s. 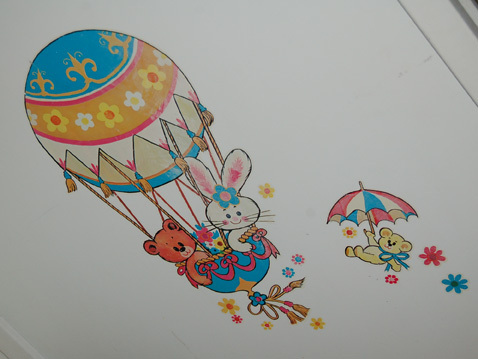 The decoration on the side is still in great condition. 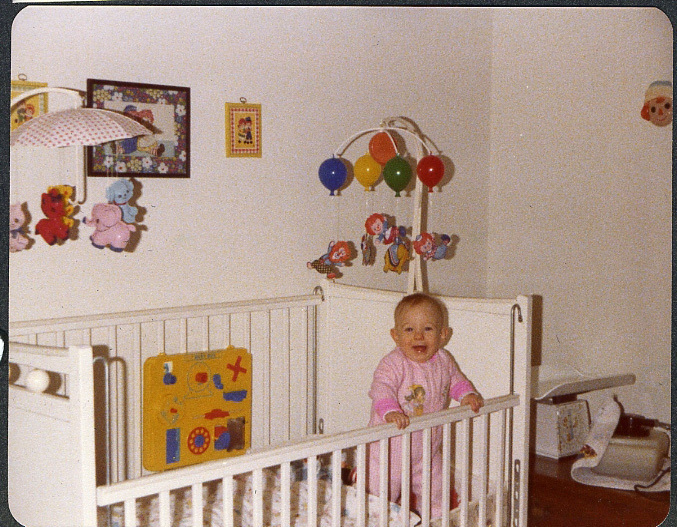 And here is a photo of me in the crib when I was a child. I love looking at things in the background. I asked my mom why she had a baby scale and she said, "I don't know, you just had them back then. I think we got that as a shower gift." 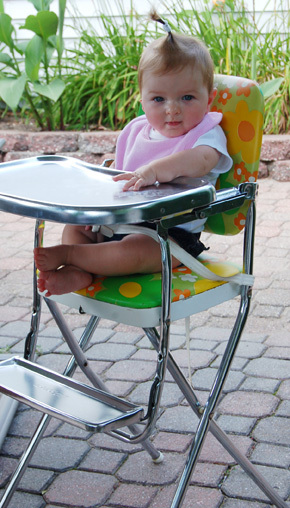 This is the high chair. I LOVE it because it is small, but not too small. It fold in half and nothing on it is fabric, so everything can be quickly and easily cleaned. Notice the vintage strap that keeps her held in. The footplate is barely scratched. And it adjusts. 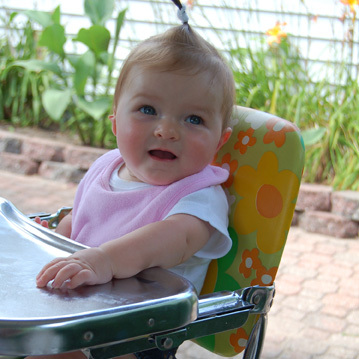 She loved it outside, she loved it in that high chair. She banged on the tray with her two hands all the time. 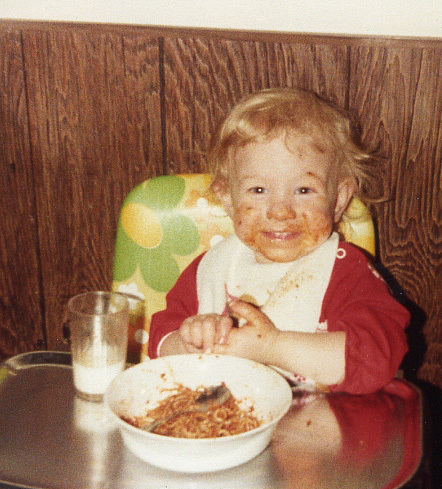 It looks like I also enjoyed being in that high chair.